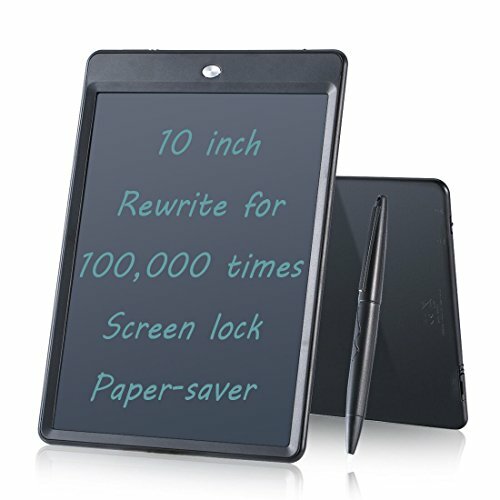 The display principle of LCD writing tablet:LCD writing tablet use characteristics of bistable liquid crystals,it record tracks when you press the screen. Grind arenaceous feeling, sample pure black border. Good feeling touch with your hand. Plastic tray helps to protect your tablet from damage in transit, a perfect choice for gift! Multipurpose: Used as preschool toy, dictation board, calculation paper, drawing board, message board etc. WARNING! Not for children under 3 years.Contain small parts.Warning choking hazard. If you have any questions about this product by Etpark, contact us by completing and submitting the form below. If you are looking for a specif part number, please include it with your message.